Portland Cylinder Display - Cal-Mil Plastic Products Inc. 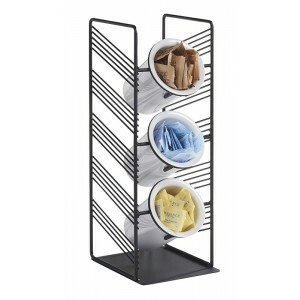 The Portland veritical cylinder display is perfect for housing condiments or flatware. The angled black wire adds rigidity and durability. Cylinders sold separately.